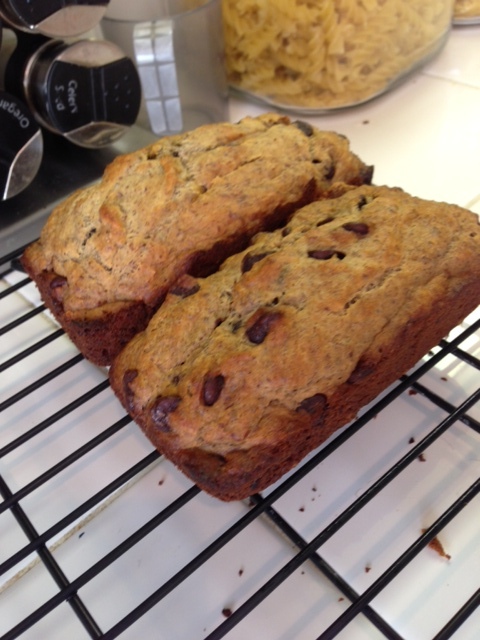 Banana Bread is like carrot cake…it sounds so healthy but is actually full of sugar and butter! My kids love banana bread. Especially if I put chocolate chips in it! I hesitate making it because its really unhealthy! So the creative side of me took over a recipe and made it healthier. 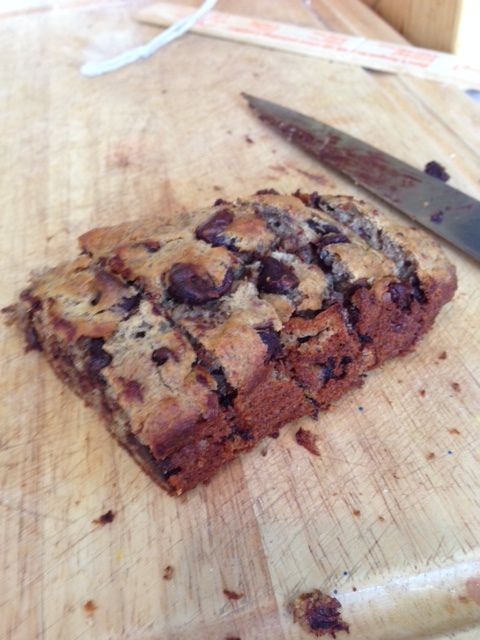 Basically I replaced the sugar with coconut sugar, and added flax seed meal I also used semi sweet chocolate chips. My kids cannot get enough of this stuff! It is best warm…squishy and gooey. So are you ready? Here goes. Pour into muffin tins or mini loaf pans. this looks amazing! what does coconut sugar taste like? Not quite as sweet as sugar, but a close second!